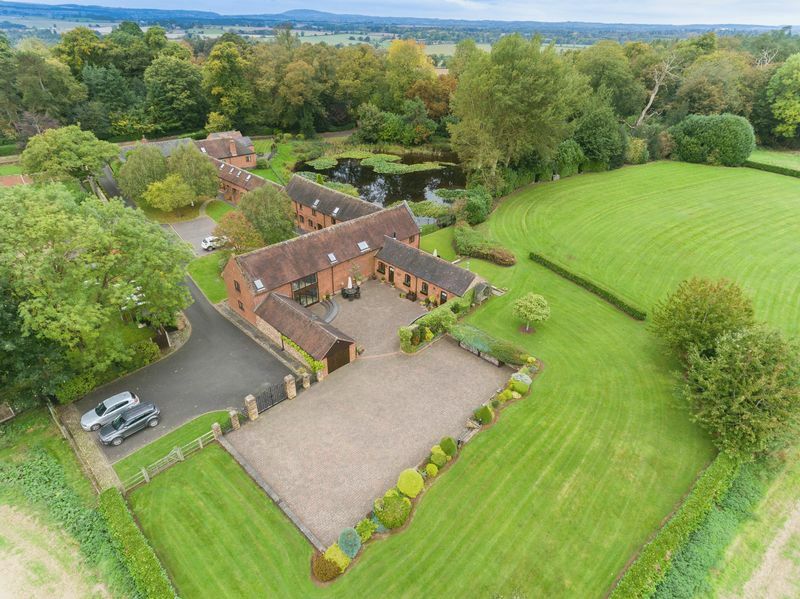 Boasting a very discreet situation at the end of an exclusive and luxurious rural development, this exceptional home enjoys the considerable benefit of sitting slightly apart from neighbouring properties and is arranged around a peaceful, private courtyard. 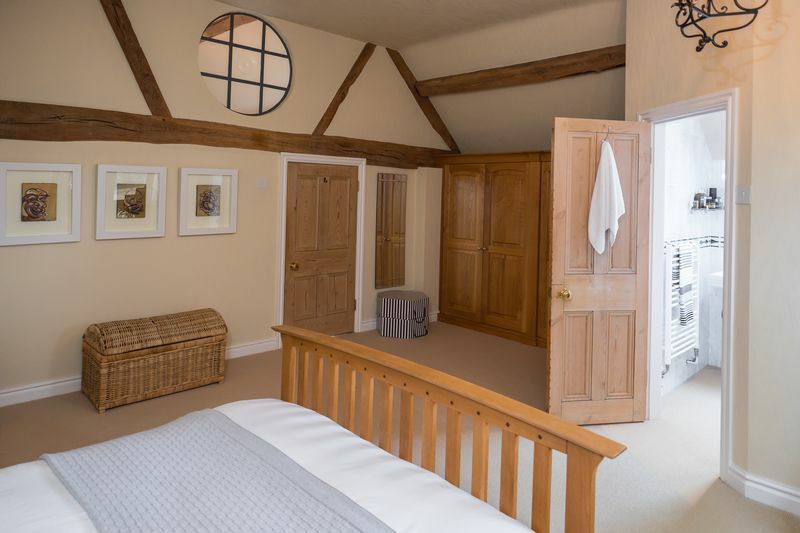 Painstakingly converted from derelict agricultural buildings, this former grain store was subject to a comprehensive and exhaustive scheme of redevelopment during the mid-1990s with an emphasis on the sourcing of appropriate, top-quality reclaimed materials, successfully preserving the historic character of the buildings. 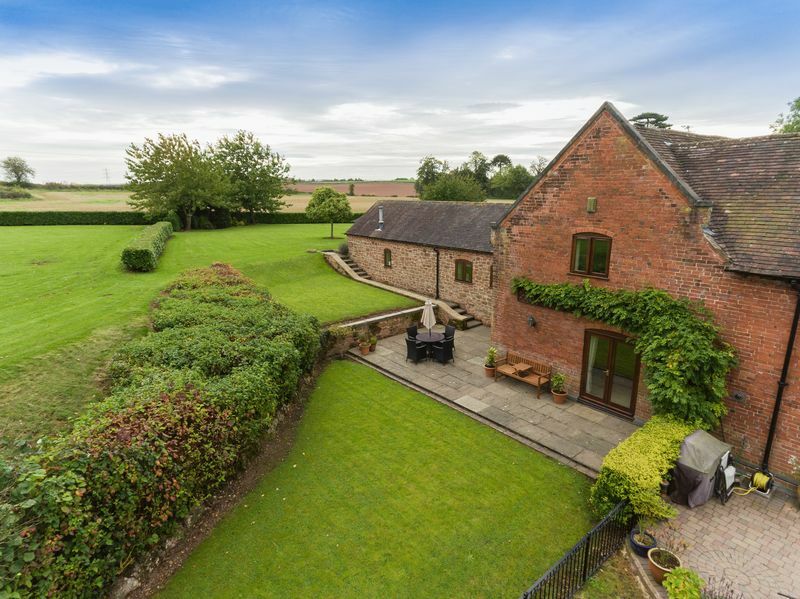 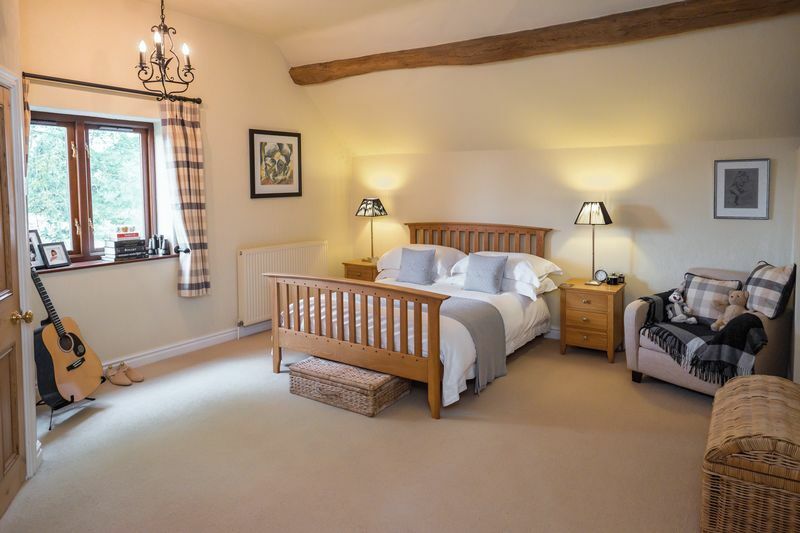 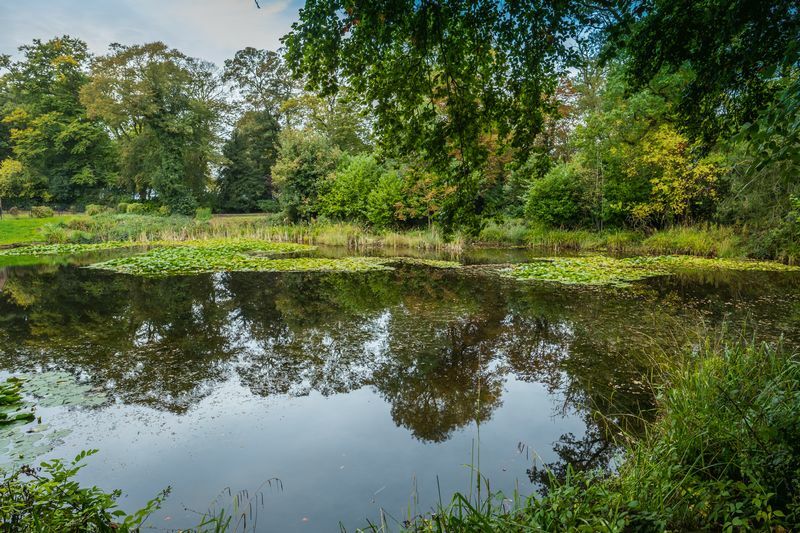 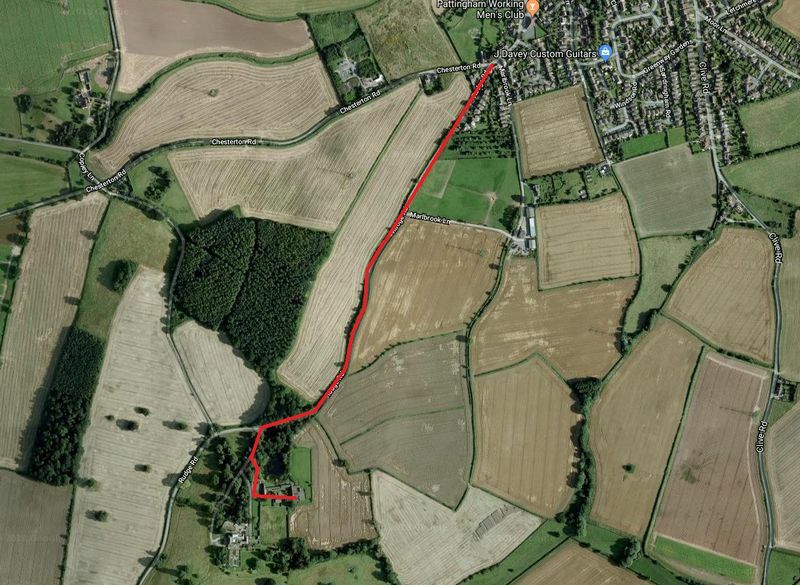 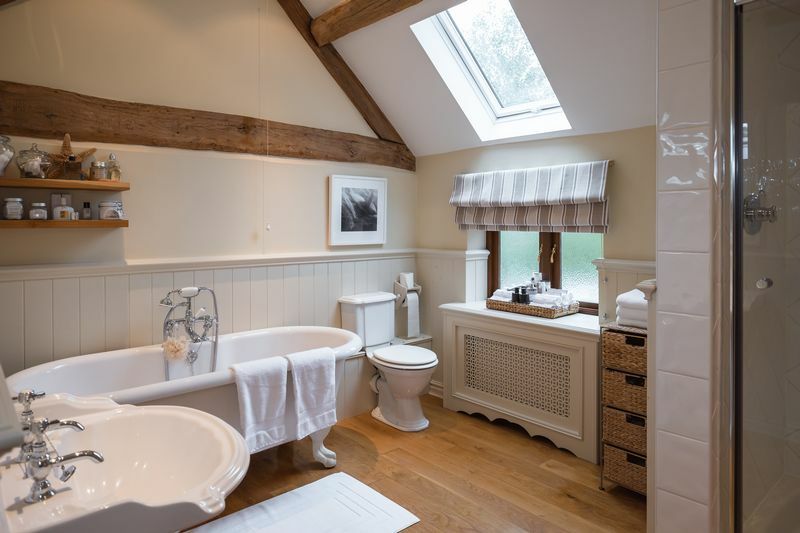 Thought to date from the 1600s and having connections to neighbouring Rudge Hall, the property enjoys glorious, uninterrupted views of the sprawling countryside and the beautiful surrounding landscape. 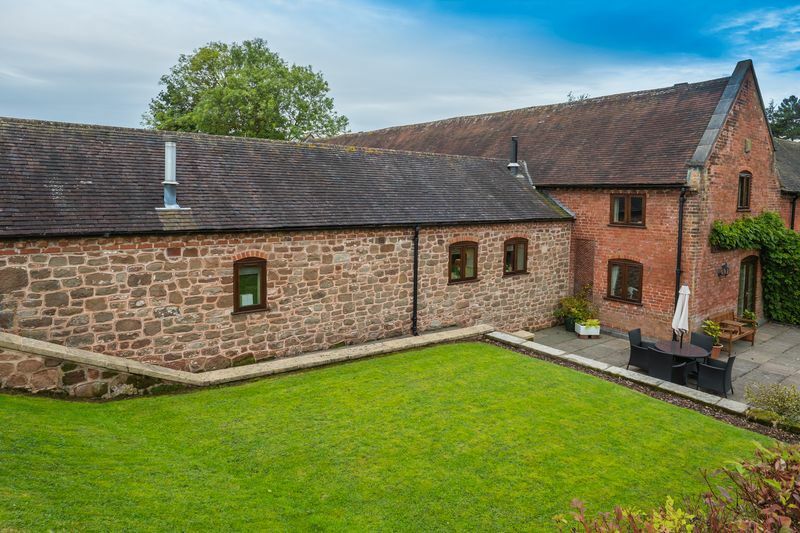 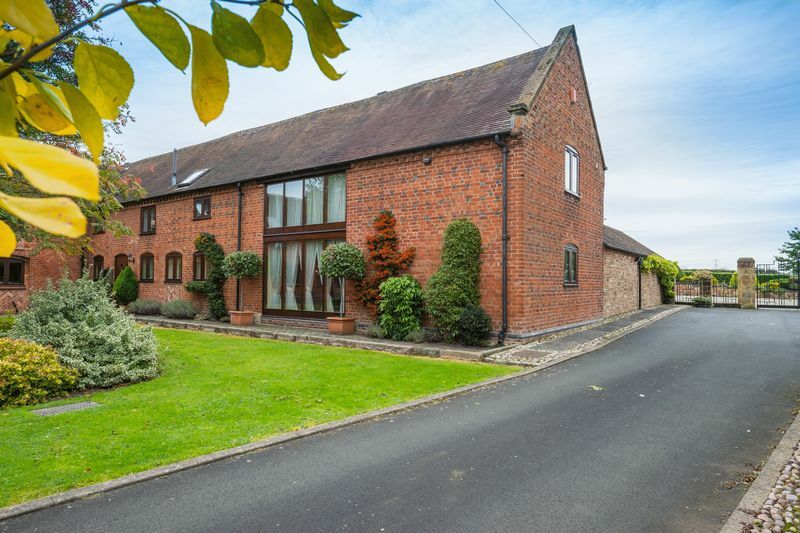 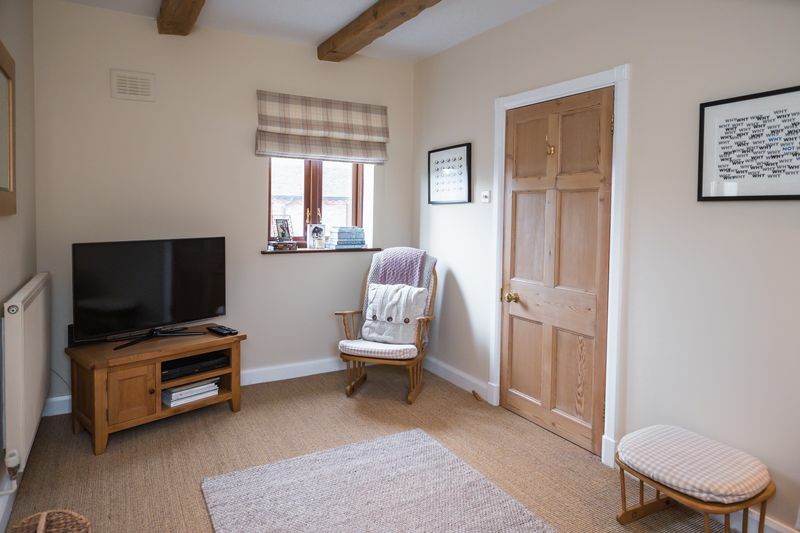 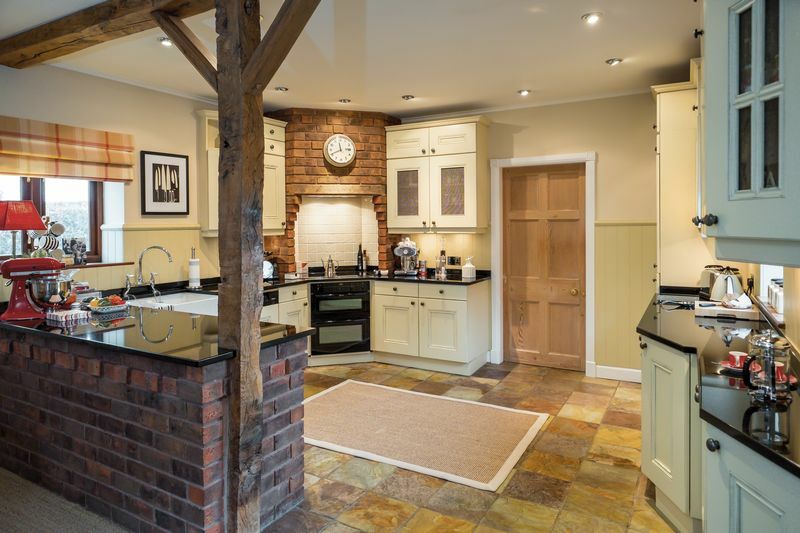 A charming Shropshire village with a range of amenities and an excellent primary school, Pattingham is close at hand with further schooling to both sectors available throughout the wider area. 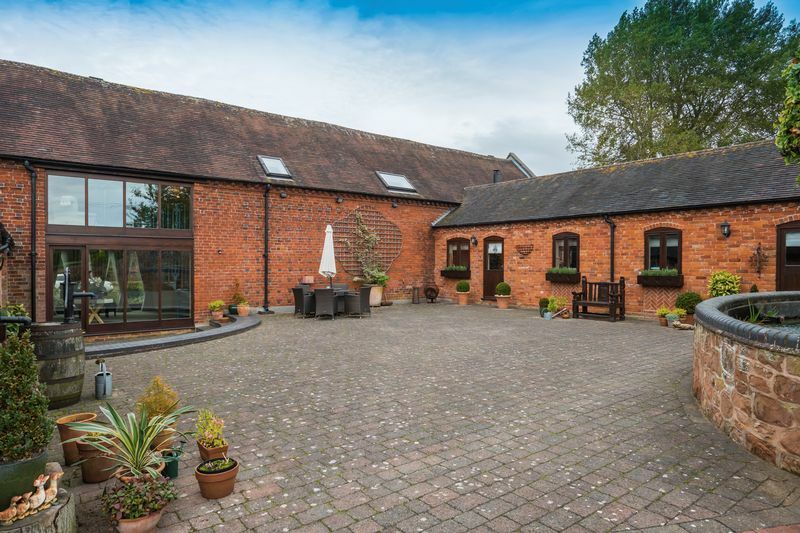 Rail connections are also offered at nearby Albrighton, Codsall, Bilbrook and Wolverhampton. 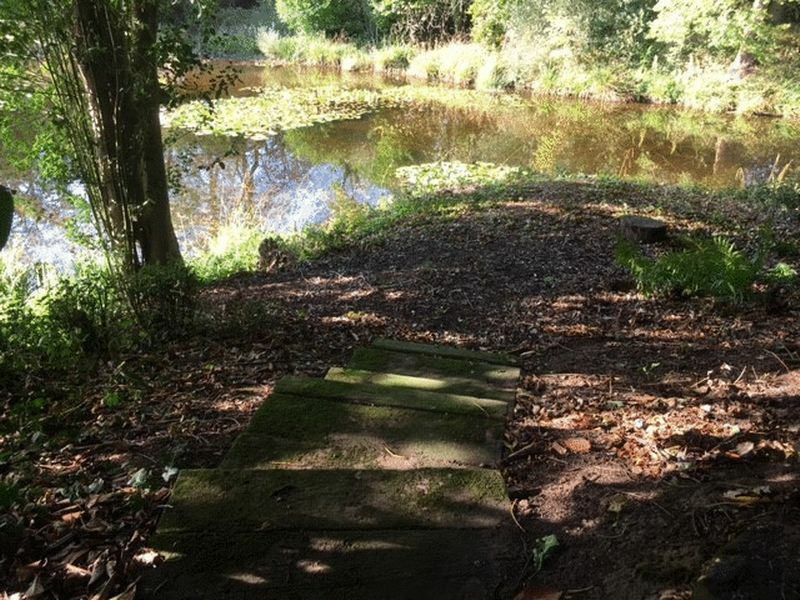 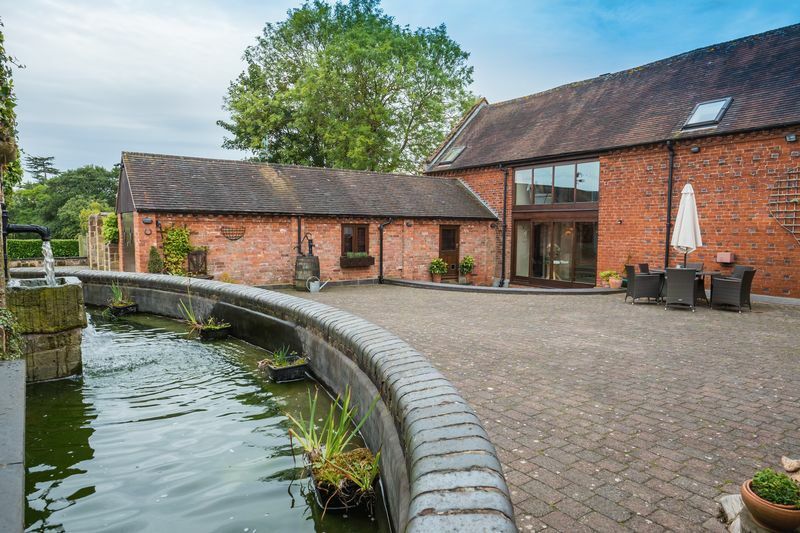 Approached via a tree-lined private driveway and offering a first glimpse of the tranquil lake, the property boasts gated parking and a double garage with excellent potential as self-contained annex accommodation, subject to relevant planning permissions. 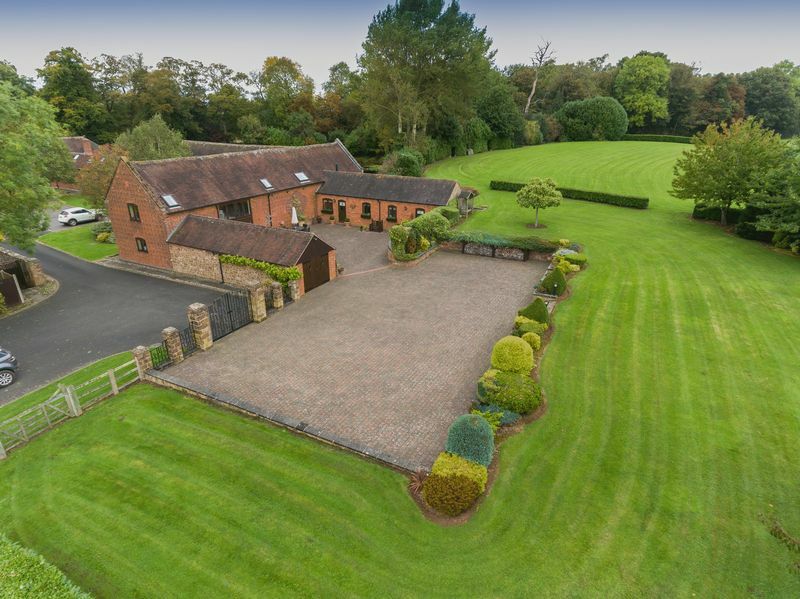 Extensive, well-maintained grounds surround The Barn, with a private pathway beyond the property with steps leading down to the lake. 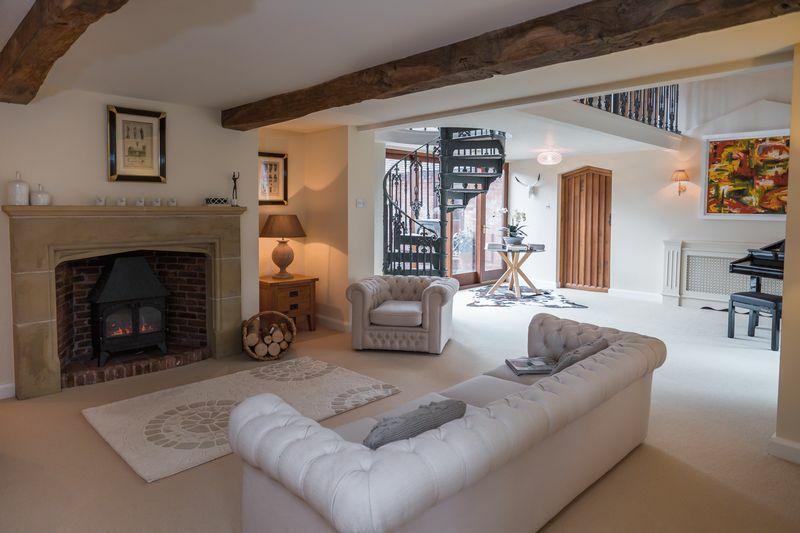 This outstanding home boasts a luxurious internal specification with high-end appointments, integrated seamlessly with carefully sourced reclaimed materials, preserving the charming character of the original architecture whilst providing a wealth of classically understated luxury. 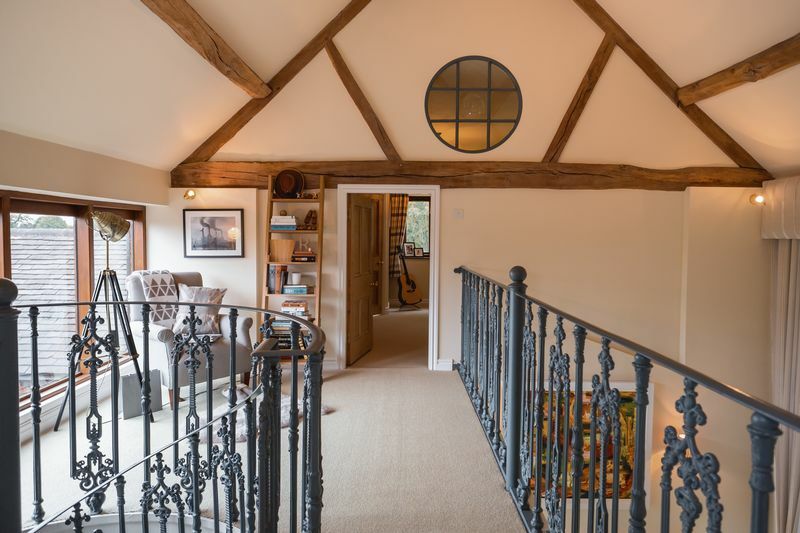 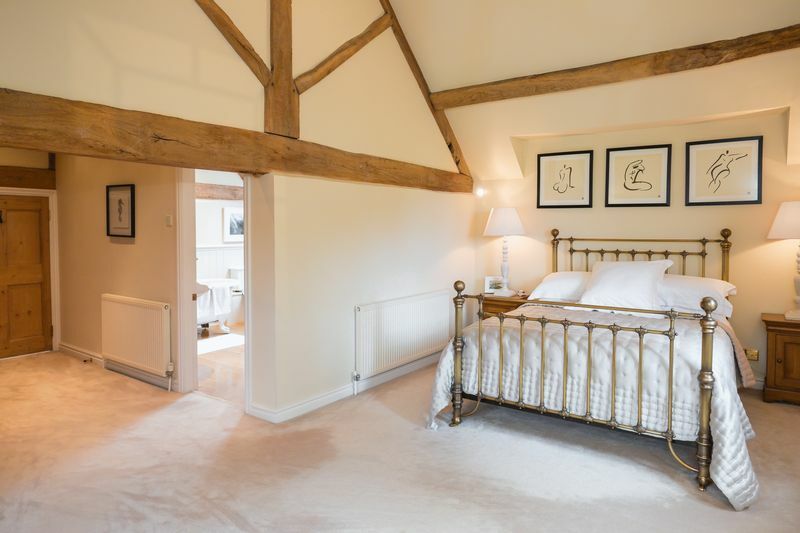 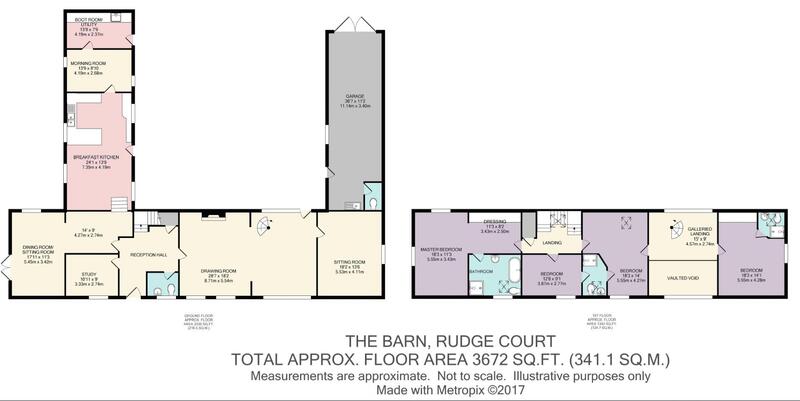 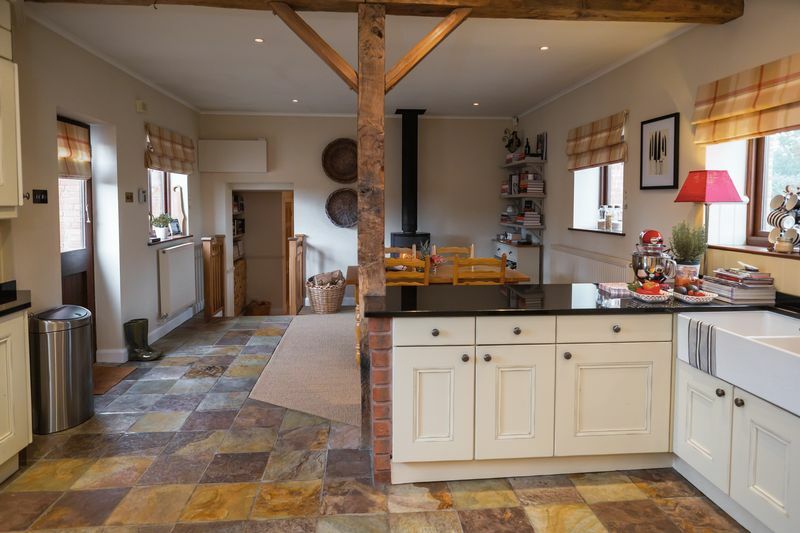 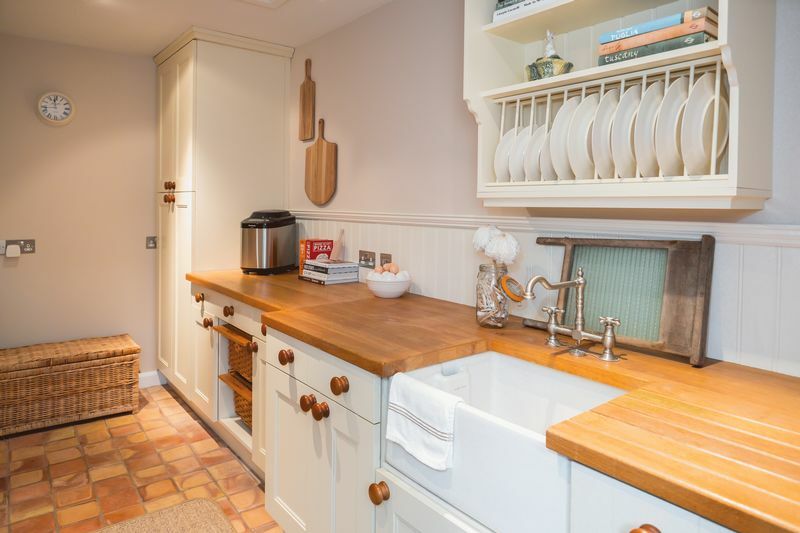 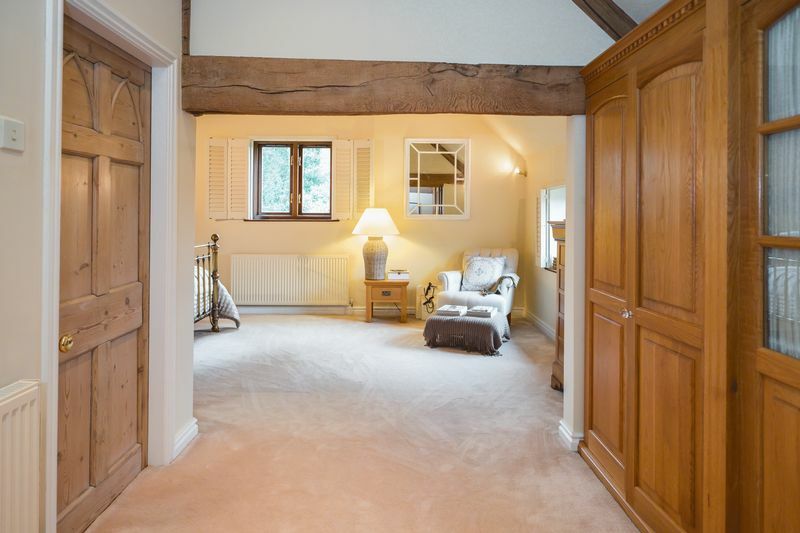 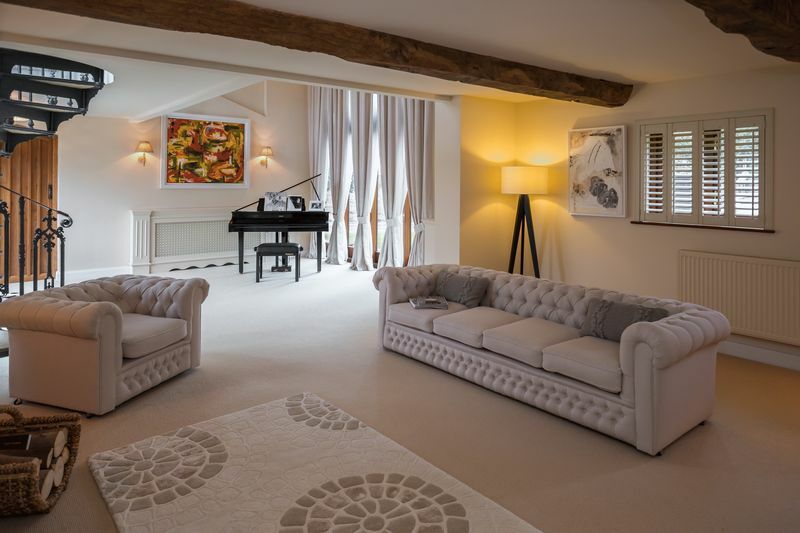 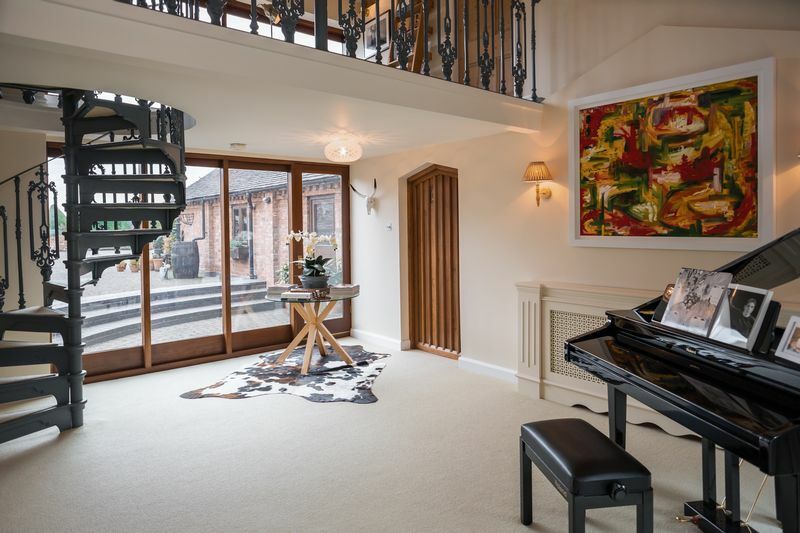 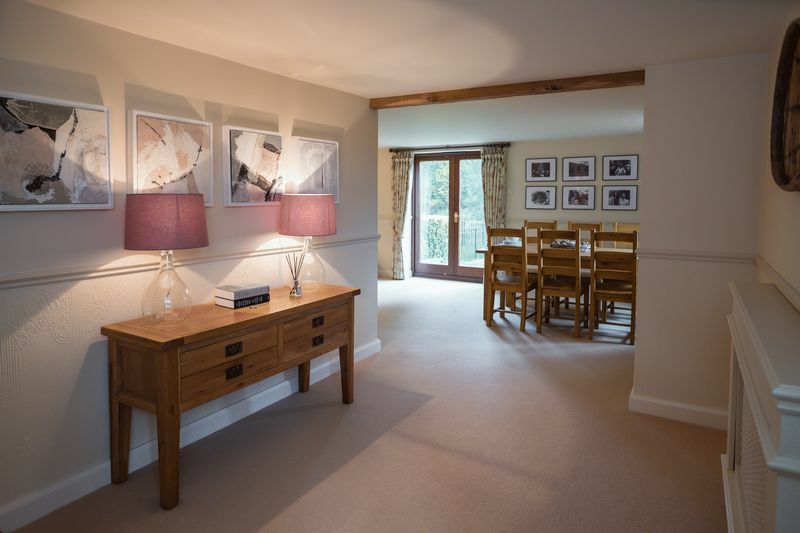 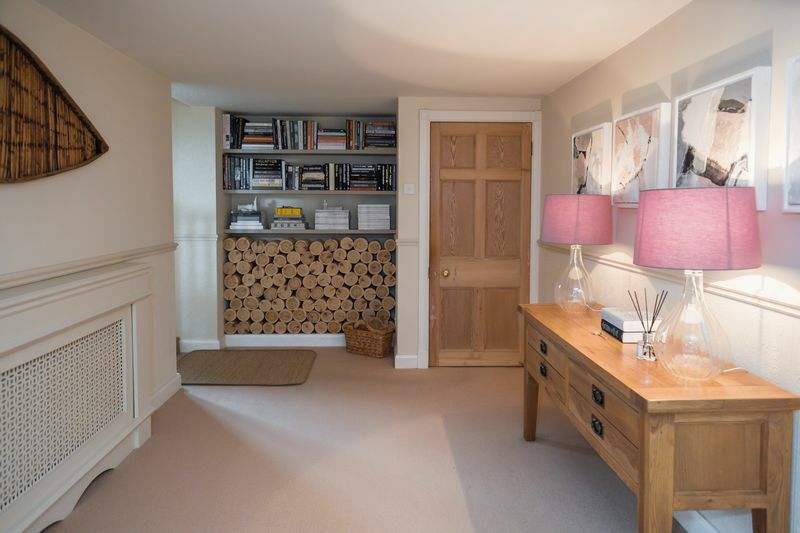 In addition to the lovely breakfast kitchen, the property features four wonderful, individually-designed reception rooms, versatile enough to meet the needs of any owner, with a mezzanine landing over the formal drawing room and very spacious design. 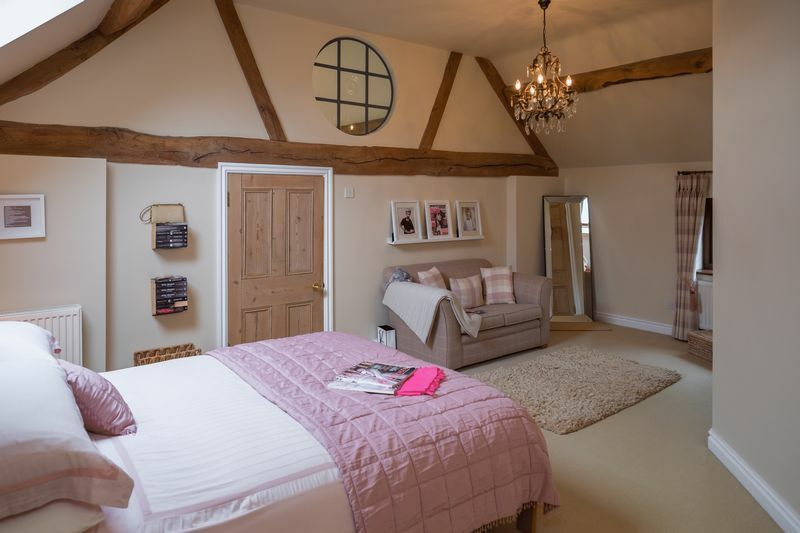 Four wonderful bedrooms, all of which enjoy en suite facilities, rest beneath the dramatic pitch and substantial aged timbers of The Barn’s roof, and this enviable home enjoys wonderful views over the development’s landscaped grounds and lake, the property’s own beautiful gardens, and miles of surrounding countryside.